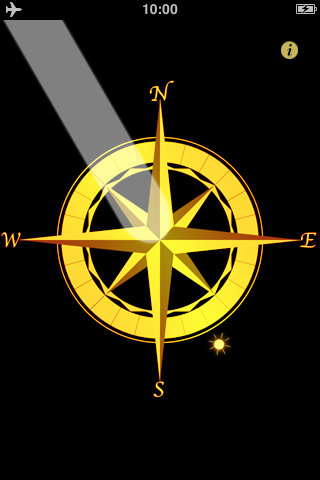 Compass is a a measuring instrument which indicates the cardinal points under the sunlight. All iOS devices (including The new Retina iPad) are supported natively. Shashikant, Which version of OS and which model of iPhone/iPod touch are you using. App not fully downloaded … though indicates as being installed. It’s not loading it says waiting. Hi Alan and Prema, It works fine on my iPhone 4. Where are you living in ? 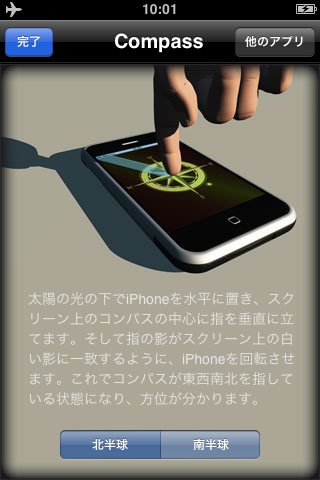 It might be a problem of iAd which is not available in my country (Japan). 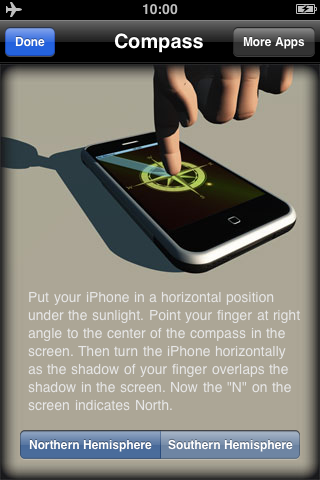 Hi Promod, Compass Free is an iOS app. You can download it for free from App Store (iPhone, iPad, iPod touch) and/or iTunes (Mac/PC).